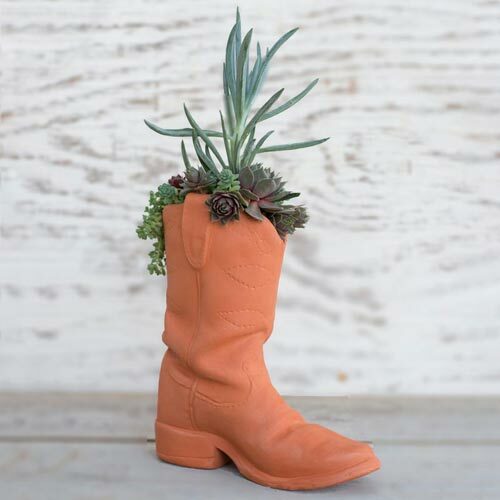 Classic cowboy boot design combined with terra-cotta clay make this one charming planter. It's a great choice for adding a touch of Western, Southwestern or country feel to the patio, deck or garden. Standing 8" tall, it's easy to fit into outdoor and indoor displays. 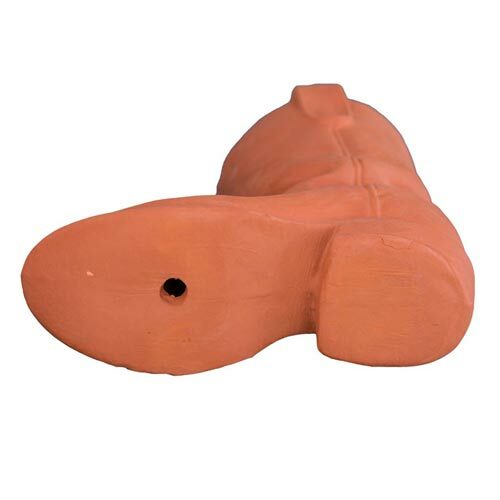 A drainage hole at the bottom of the boot, as well as terra-cotta's porous nature, encourages good drainage and healthy plants. 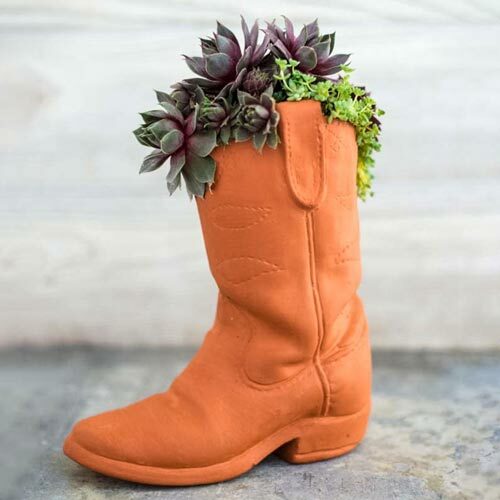 For a stunning look, consider planting hens & chicks, sedums or succulents in the cowboy boot planter. Made in the U.S.A. 8"H x 4"W x 6"L.